I’ve got 1000’s of haikyo photos I’ve never used. Occasionally I dip into them to put together a combo post, but for the most part they lie fallow; maybe because I’m in them, or other people are, or they’re not quite as striking as other shots in the set. Still, I think they’re informative, interesting, and I want to use them. Here’s my idea- I post one (usually new) photo a day, for as long as I have good photos left to post. Each week there’s a theme that pulls that set together. It could be that they’re all photos of empty halls, or of peeling paint, or rust, or whatever. This week, the theme is going to be photos with me in them. Su Young took this photo; I think I might have been posing on purpose. 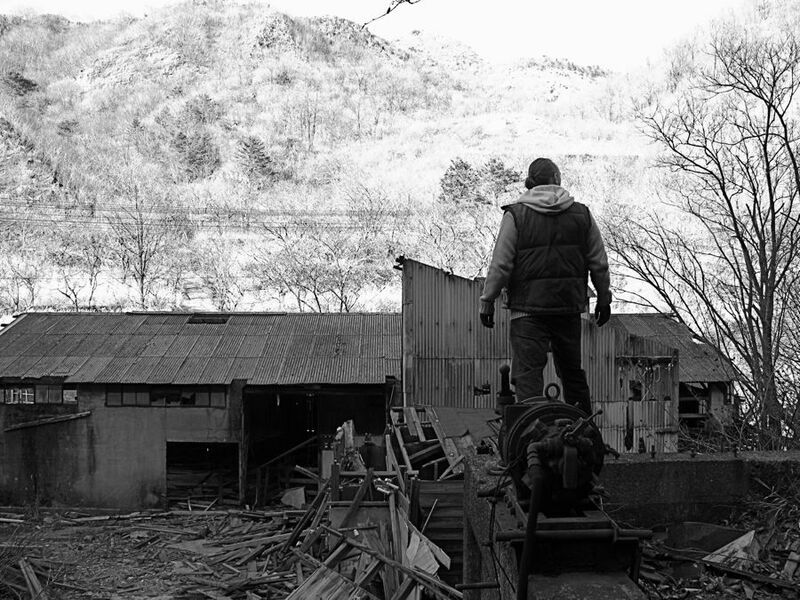 Of course it’s from Ashiodozan, one of Japan’s most infamous ghost towns. I’m standing on the second floor roof of some funny mining structure, looking over a ware-house that has fallen apart. To my left there was a mine-trolley rail line which had collapsed too, but once ran straight into a mine. The rails inside were untouched, but the mine itself was heavily padlocked off. It was freezing that day, though we were very lucky to get some good sunshine.